Saturday November 18th, 2017! 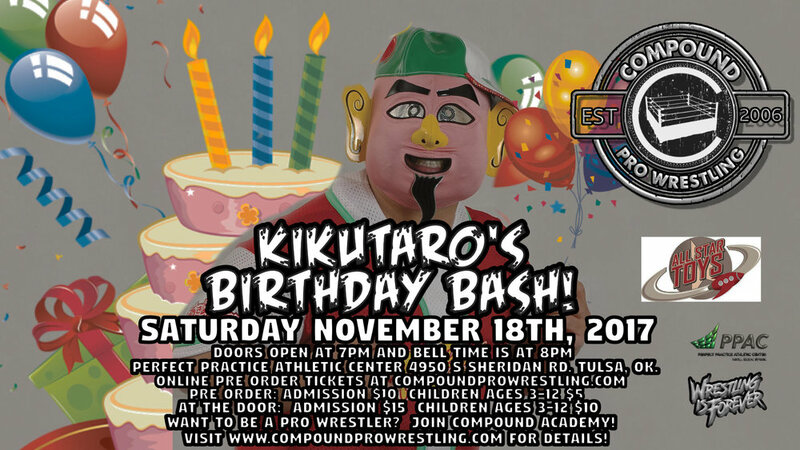 Kikutaro's Birthday Bash! November 18th, 2017! Kikutaro's Birthday Bash! Admission: $10 (Pre Order online here) $15 at the door the day of the event. Children Ages 3-12: $5 (Pre Order online here) $10 at the door the day of the event. At 7PM is your chance to MEET Kikutaro! Seating is limited so be there when doors open in case this event sells out!